It is important to note that this interpretation of Schoenberg achieved a wide currency throughout academia, and for a period seemed to have eclipsed the other notions of the composer almost entirely. This is largely due to the singular influence exerted by Babbitt, a staunch philosophical adherent of the Vienna Circle, who has done more than any other figure, with the possible exception of Schoenberg himself, to shape our vision of the composer. In his essay, “My Viennese Triangle at Washington Square,” Babbitt discusses the ways in which his intellectual outlook was shaped by Schoenberg, Schenker, and the Vienna Circle, two of whom—Carnap and Hempel—were then living in America. Babbitt himself does not endorse a direct equation between the goals and methods of Schoenberg and those of the Vienna Circle. To the contrary, in “Hans Keller: A Memoir,” he says of Keller that he “came out of…the Vienna of Schoenberg and Freud, not that of Schenker or the Vienna Circle.” But the principles of logical positivism have had an enormous influence on his analytical approach, and we may conjecture that the prevalence of a positivistic analytical approach to Schoenberg’s music in the writings of Babbitt, Lewin, and their followers has in turn encouraged an exaggerated evaluation of the commonalities between the philosophical methodology of the Vienna Circle and the compositional methodology of Schoenberg’s music. This view of Schoenberg may be seen in historical studies such as James K. Wright’s Schoenberg, Wittgen­stein, and the Vienna Circle, as well as in more general studies of the period, such as Palle Yourgrau’s A World Without Time. The latter contains one of the best general explanations of the sources and implications of the Vienna Circle’s worldview, but criticizes Schoenberg on the grounds of a faulty equation between his musical technique—particularly serial technique—and the logical tools of positivism. Due to the confusion that has arisen around the term, it is therefore valuable to consider briefly its historical origins and epistemological principles. These are laid out with exceptional thoroughness, although from a highly critical vantage point, in Alan Janik and Stephen Toulmin, Wittgenstein’s Vienna, as well as in A World Without Time, mentioned above. Briefly, logical positivism arises from the empiricism of Ernst Mach, who sharply criticized atomic theory for being unverifiable. The Vienna circle attempted to synthesize Mach’s empiricism with the new logical methods of Wittgenstein’s Tractatus, with the aim of thereby reconstructing science and philosophy on a rigorously empirical basis. Science, from the positivist vantage point, would be rebuilt as a system of logically inevitable propositions derived from a set of basic axioms, or “protocol sentences,” each of which corresponded to an elementary, irreducible unit of sensory data. One of the most notable documents to emerge from this movement is Rudolf Carnap’s Logische Aufbau der Welt, translated into English as The Logical Construction of the World. It is not hard, then, to understand the temptation that many have felt to equate Schoenberg with the logical positivists, seeing serial technique as a similarly “axiomatic” formal system, logically deriving its material form the “elementary proposition” of the row. But we may also argue—as do many of the authors who approach Schoenberg from the ethical-religious, standpoint, or who try to synthesize the rational and ethical sides of his thought—that this equation is fundamentally flawed. Considerations of Schoenberg’s relations to Viennese intellectual life that approach him primarily from the ethical-religious standpoint tend to stress his commonalities with Karl Kraus. Such studies include John Covach’s “The Sources of Schoenberg’s Aesthetic Theology,” Julian Johnson’s “Karl Kraus and the Schoenberg School,” and A. Goehr’s “Schoenberg and Kraus: The Idea Behind the Music.” These important but relatively isolated essays are related to a school of thought that regards Schoenberg as being principally an ethical figure in the history of music. The most important studies in this body of works are, however, centered not around the completed works of Schoenberg’s Viennese period, but around such explicitly “religious” works as Moses und Aron and the unfinished Die Jacobsleiter. The nexus of Kraus’ thought is an extreme ethical individualism, arising from a rigorous separation of the sphere of “facts” from that of “values.” He decried the contemporary genre of the feuilleton, exemplified by such practitioners as Heine, which he believed tended to mix factual reporting and creative fantasy in such a fashion that each was indistinguishable from, and bastardized by the other. Kraus held that a radical separation must be maintained between factual and poetic language in order to preserve the “truth” of each. He was hence constitutionally opposed to the journalistic profession, which he felt had not only mingled these spheres inappropriately, but had corrupted language in the service of its own material interests. There is a subtle historical irony in the fact that it is exactly Kraus’ passion for excellence, his stringent concern with purity of language, that has rendered his work largely unknown outside of German-speaking countries — because the extraordinary precision of his German has presented almost insuperable obstacles to the translator. Die Letzten Tage der Menschheit (or The Last Days of Mankind), his monumental satire of the Vienna that he famously called “the proving ground for world destruction,” still exists only in a partial, out-of-print translation. At present, the best English-language introduction to his writings is probably Dicta and Contradica, a selection of shorter writings and aphorisms predominantly drawn from the pages of Die Fackel. Among modern studies, the work that has done the most to restore Kraus to his proper prominence is, again, Janik and Toulmin’s Wittgenstein’s Vienna. Wittgenstein’s Vienna belongs, however, not to the strictly ethical category of thought on Schoenberg, but to the most difficult and rewarding category, consisting of those works that attempt to synthesize the logical and ethical views of Schoenberg’s work. If the rational-technical approaches to Schoenberg stressed his commonalities with the Vienna Circle, and if the ethical-religious view of Schoenberg tends to equate him with Kraus, then the prevalent parallel in the “synthetic” view of Schoenberg is with Wittgenstein. Due to the very breadth and difficulty of the subject, the most thorough considerations of Schoenberg from this angle tend to be “interdisciplinary” in nature. Indeed, Toulmin and Janik argue that the very nature of the topic makes this necessary, and that we must view Schoenberg and Wittgenstein not merely as giants in the fields of music and philosophy, but as Krausian “integral men,” the former a gifted amateur painter admired by Kandinsky and an essayist of considerable force, the latter an accomplished architect and trained engineer. The specialization and professionalization of their fields is largely a subsequent development, whose distorting lens tends to cloud our vision of the profound interrelatedness, in fin-de-siècle Vienna, of fields as widely divergent as music and architecture, painting and philosophy. Wittgenstein’s Vienna is, in this respect, probably the most significant consideration of Schoenberg’s milieu, drawing not only on Schoenberg and Wittgenstein, but on Loos, Kokoschka, and Musil, and proposing a unifying explanation of their oeuvres in terms of the relationship between mathematical formalism and Krausian ethical individualism. It is fundamentally intended as a revisionist study of Wittgenstein, situating him in an ethical tradition rather than seeing him as a pure logician, according to the prevailing interpretation of the logical positivists and Cambridge analytical philosophers. But in the process, it also proposes a powerful revisionist study of Schoenberg, and offers us a powerful rubric through which we way view the artistic products of turn-of-the-century Vienna, viewing the logical and systematic elements of Schoenberg’s work, like those of Wittgenstein’s, as a technical means toward an ethical end. However, a word of caution is in order. The few major studies of this period, such as Wittgenstein’s Vienna and William Johnston’s The Austrian Mind, tend to approach their subject matter from the perspective of philosophy and the history of ideas. In some ways, this is primarily because of the breadth of technical knowledge required for a proper consideration of schools of thought as radically different as those of Kraus and the Vienna Circle, and the extensive knowledge of formal logic necessary for approaching Wittgenstein’s Tractatus. The irony attendant upon this is that the extant “synthetic” literature, at least from the point of view of a consideration of Schoenberg’s music, is hampered by the same specialism that Janik and Toulmin decry. Hence Wittgenstein’s Vienna contains many glaring factual errors about Schoenberg, such as the description of Erwartung as a work written “in the Wagnerian style.” Similarly, Toulmin and Janik at one point refer to Schoenberg’s “12-Tone Harmonielehre,” hence conflating a study of tonal harmony written in 1911 with a technical system that Schoenberg did not devise until a decade later. Such basic errors undermine confidence in the authors’ knowledge, and hence understanding, of Schoenberg. For one who is nevertheless strongly sympathetic to their arguments, these shortcomings are dismaying. It is therefore apparent that these arguments must be applied to the individual arts with a greater degree of rigor than they have yet been. But the direction they point us in is a clear and fruitful one, by which we might, at last, come to an understanding of the interplay between the formal and ethical that play such an integral part in the emergence of modernity in the arts. From a musical point of view, at least, the definitive study of this kind has yet to be written. Carnap, Rudolf. The Logical Structure of the World, trans. Rolf A. George. Peru, Illinois: Open Court Publishing, 2003. This treatise by the Logician Rudolf Carnap, one of the younger members of the Vienna Circle, is one of the most significant works to come out of the movement. It is primarily a systematic effort to describe the world purely through rational extrapolation from elementary items of sensory experience. Kraus, Karl. Dicta and Contradicta, trans. Jonathan McVity. Champagne-Urbana: University of Illinois Press, 2001. This is a collection of Kraus’ aphorisms and polemics, drawn primarily from his articles in Die Fackel, and providing an overview of his ethics and literary style. It includes an introductory essay and extensive annotation by the translator to illuminate some of the more outdated and recondite references in the articles. Musil, Robert. The Man Without Qualities, trans. Burton Pike and Sophie Wilkins. New York: Alfred A. Knopf, 1995. Musil’s is the quintessential novelistic treatment of turn-of-the-century Viennese life, a vast and withering documentation of the decadence and artificiality of late Habsburg society. Schoenberg, Arnold. Style and Idea: Selected Writings of Arnold Schoenberg, trans. Leo Black, ed. Leonard Stein. Berkeley: UC Berkeley Press, 1984. This collection contains most of Schoenberg’s important shorter writings, both theoretical and polemical. The book includes the famous essay on “The Emancipation of the Dissonance,” as well as the titular “Style and Idea,” and provides the most comprehensive and immediate overview of the composer’s thought. The Schoenberg Correspondence Database of the Arnold Schoenberg Center (http://www.schoenberg.at/6_archiv/correspondence/letters_database_e.htm). This online archive lists the vast majority of Schoenberg’s correspondence, and is equipped with a sophisticated search function. Some letters are linked to in a full-text format, while the locations of others are listed exhaustively. Of particular importance among the materials accessible here is some of Schoenberg’s correspondence with Kraus. Wittgenstein, Ludwig. Tractatus Logico-Philosophicus, trans. Paul Kegan. London: Routledge, 2001. Wittgenstein’s is the classic philosophical text of fin-de-siècle Vienna, holy writ to the logical positivists as well as many to whom positivism was anathema. Its system of “truth tables” and its development of the symbolic logic of Russell and Frege had an enormous impact on the subsequent course of philosophy, while, at the same time, the author described it as “an ethical work,” “written to the glory of God.” The confluence of the rational and the ethical in Wittgenstein’s work is strikingly parallel to that in Schoenberg’s. This collection of essays is in three parts, the first consisting of analyses of the “historical, esthetic and intellectual” context of Schoenberg’s thought, the second comprising studies of individual works, with an emphasis on their relation to the composer’s esthetics, and the third an analysis of his intellectual legacy. Janik, Alan, and Stephen Toulmin. Wittgenstein’s Vienna. New York: Touchstone, 1973. This sprawling study is perhaps the single most important study of Viennese intellectual life. It is one the most significant “revisionist” accounts of Wittgenstein, conceived by the authors as a corrective to then-prevailing “positivistic” interpretation of his works, situating him as an ethical thinker in the line of Kierkegaard and Kraus, and delineating the profound differences between the purpose of his Tractatus, on the one hand, and the use to it was put by the Vienna Circle, on the other. In the process, the authors also treat Schoenberg extensively, analyzing his “Krausian” principles and drawing a persuasive parallel between him, Wittgenstein, and the architect Adolph Loos. Johnston, William M. The Austrian Mind: An Intellectual and Social History, 1848-1938. Berkeley: University of California Press, 1972. This study exhaustively covers the intellectual life of Austria during the crucial period of the decay dissolution, and after-life of the Austro-Hungarian Empire. Johnston examines a vast panoply of figures including Schoenberg, Wittgenstein, and Kraus, and attempts to bind them into a coherent narrative through such categories such as estheticism, alienation, and nihilism. White, Pamela C. Schoenberg and the God-Idea: The Opera Moses und Aron. This book is a study of Schoenberg’s philosophical and theological ideas in relation to both to the subject matter and the underlying musical logic of Moses und Aron. It is divided into an explication of the development of Schoenberg’s religious thought, a technical analysis of the opera, and a consideration of the ways in which the composer’s theological principles fundamentally influenced the form and musical technique of the work. Wright, James K. Schoenberg, Wittgenstein and the Vienna Circle. Bern: Peter Lang publishing, 2007. Wright’s is to date the only book-length examination of the relation of Schoenberg’s music to the theories of Wittgenstein and the Vienna Circle, and presents a predominantly but not unequivocally “positivist” vision of Schoenberg. Concordantly, Wright also holds a more traditionally positivistic interpretation of Wittgenstein than that found in Wittgenstein’s Vienna, and argues that both thinkers have a close relation to the philosophical program of the Vienna Circle in regard to language and epistemology. Adorno, T. W. “On the Social Situation of Music,” in Essays on Music, trans. Susan Gillespie, ed. Richard Leppert, 391-436. Berkeley: University of California Press, 2002. This essay is primarily an exposition of Adorno’s own philosophy of music, and a predominantly Marxist interpretation of musical life of the thirties. However, it also contains an extended examination—cited by Johnson, in “Karl Kraus and the Schoenberg School,” as the first—of the relation between Kraus and Schoenberg’s theories of language. Babbitt, Milton. “‘My Vienna Triangle in Washington Square,’ Revisited and Dilated,” in The Collected Essay of Milton Babbitt, ed. Stephen Peles, 466-487. Princeton: Princeton University Press, 2003. This essay is a discussion of Babbitt’s relation to the intellectual legacies of Schoenberg, Schenker, and the Vienna Circle. This essay is valuable not only for its incisive consideration of the three corners of the “triangle,” but for the insights it offers into the influence Babbitt’s regard for the Vienna Circle has had on our subsequent understanding of Schoenberg. Covach, John. “The Sources of Schoenberg’s ‘Aesthetic Theology.’” Nineteenth Century Music 19/3 (Spring 1996), 252–62. This essay is a consideration of what Carl Dahlhaus labeled Schoenberg’s “aesthetic theology” in relation to the intellectual preoccupations of fin-de-siècle Vienna. Covach conceives his article primarily as an emendation of Dahlhaus’ earlier writing on the subject, and attempts to supplement it by situating Schoenberg’s musical thought in relation to the philosophy of Swedenborg, Kant, and Schopenhauer. There is a clear analogy between Covach’s discussion of Kant and Schopenhauer and that by Toulmin and Janek, who argue persuasively that they were pivotal influences on the ethical thought of the young Wittgenstein. Goehr, A. “Schoenberg and Karl Kraus: the Idea behind the Music.” Music Analysis 4/1 (1985), 59–71. This is a study of the relation between Schoenberg’s musical principles, particularly the notion of the “musical idea” and the technique of motivic writing, and the ethical and linguistic principles that Kraus set forth in Die Fäckel. In emphasizing the connections between Schoenberg and Kraus, Goehr sets forth an interpretation of Schoenberg’s musical innovations as fundamentally ethical in nature. Gradenwitz, P. “Schönbergs Religiöse Werke.” in Melos, xxvi (1959), 330–33. English translation in Music Review, xxi (1960), 19–29. This essay is primarily a consideration of the explicitly “religious” works in Schoenberg’s oeuvre, such as Moses und Aron and the Three Modern Psalms. However, it also contains a discussion of some of the particularly “Krausian” elements of these works, particularly the prohibition on the making of images that is central to Moses. Gradenwitz argues that the Schoenberg’s involvement with these ideas began significantly earlier than is commonly supposed, dating the prohibition on images to 1926 or earlier. Guter, Eran. “Where Languages End: Ludwig Wittgenstein at the Crossroads of Music, Language, and the World.” PhD diss., Boston University, 2004. This dissertation concern itself principally with Wittgenstein’s comments and opinions about music, and with the possible application of his principles to a more generalized philosophy of music. It also deals extensively with the arguments that have been made for a correspondence between the ideas of Schoenberg and those of Wittgenstein, even if it does so primarily in the context of an attempt to debunk them. Johnson, Julian M. “Karl Kraus and the Schönberg School.” Journal of the Arnold Schönberg Center 2 (2000), 179-189. Solomos, Makis, Antonia Soulez, and Horacio Vaggione. “Schönberg et Wittgenstein.” In Formel–informel: Musique–philosophie: Textes et Entretiens, avec Deux Articles d’Adorno et de Dahlhaus, 237-259. France: Editions L’Harmattan, 2003. This essay was unavailable at the time of this writing. Steiner, George. “Schoenberg’s Moses and Aaron.” In Language and Silence: Essays on Language, Literature, and the Inhuman, 127-139. New York: Atheneum, 1977. Among generalists in the humanities who have concerned themselves with Schoenberg, Steiner is perhaps the most acute. (He is also the most deeply indebted, and was later to base a significant portion of his long essay In Bluebeard’s Castle on the “Schoenbergian” vision of God.) His essay on Moses und Aron examines the opera particularly in relation to the divine prohibition on the making of idols, and the impossibility of representing the transcendent, for which Moses’ stutter is a potent metaphor. It is hence fundamentally centered around the question of the limits of language, the mostly archetypically “Krausian” element of Schoenberg’s thought, and thereby serves as a valuable demonstration of the continuity between his earlier and later ethical beliefs. Watkins, Holly. “Schoenberg’s Interior Designs.” Journal of the American Musicological Society, 61/1 (Spring 2008), 123-206. This is an extensive consideration of the personal and intellectual relationship between Schoenberg and Adolph Loos. Like Where Languages End, it argues against Janik and Toulmin’s thesis of a common, fin-de-siècle “critique of bourgeois estheticism” which the works of Schoenberg and Loos shared with those of Kraus and Wittgenstein. Watkins proposes that, instead, it is only significantly later the century that the esthetic principles of the two men began to converge. Bailey, Walter B (ed.) The Arnold Schoenberg Companion. Westport, Conn.: Greenwood Press, 1998. This overview of Schoenberg contains articles on subjects such as the twelve-tone method, Schoenberg’s pedagogy, the “free atonal period,” and the reception of Schoenberg’s works. Rosen, Charles. 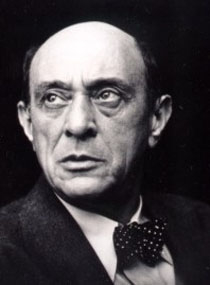 Arnold Schoenberg. Chicago: University of Chicago Press, 1996. Rosen’s book, a series of loosely-linked essays on Schoenberg, is one the most important of recent monographs on the composer. Methodologically, it springs primarily from Rosen’s attempt to integrate the singular figure of Schoenberg into the view of Western musical history he elaborated in The Classical Style (1972) and The Romantic Generation (1995.) In a valuable corrective to the serialist bent of much of the work on Schoenberg done in the 1960s and 70s, Arnold Schoenberg focuses largely on the music of the early, “freely atonal period,” particularly on Erwartung, the study of which is perhaps Rosen’s most valuable single contribution. Shawn, Allen. Arnold Schoenberg’s Journey. New York: Farrar, Straus and Giroux, 2002. This book is a loose biographical sketch of the composer, traced, much like Rosen’s work, through a series of linked essays. Although a popular rather than a scholarly book, Shawn’s study is invaluable for its fresh approach to the composer; Shawn breaks with the dogmatisms that have often characterized both the pro- and anti-Schoenberg camps, and approaches the music as an expression both of the febrile culture of fin-de-siècle Vienna, and of Schoenberg’s own personal and spiritual crises. From this angle, he deals systematically with representative works from all of Schoenberg major stylistic periods; essays of particular note include those on the Gurrelieder, the Sech Kleine Kalvierstücke, Die Glückliche Hand, and the String Trio. Shields, Philip R. Logic and Sin in the Writings of Ludwig Wittgenstein. Chicago: University of Chicago Press, 1993. This short book is primarily a study of the ethical and religious element of Wittgenstein’s thought, and belongs somewhat to the same revisionist tradition of Wittgenstein Scholarship and does Wittgenstein’s Vienna. It does not deal with Schoenberg, but its explanation of Wittgenstein’s religious influences suggests important similarities between the two figures. Yourgrau, Palle. A World Without Time. Cambridge, MA: Basic Books, 2005. This book is primarily a study of Gödel and Einstein, but contains one of the best explications for the layman of the goals and methodology of logical positivism. so, are you going to write the definitive study? I liked your posting. Have you been to the Schoenberg Center in Vienna?